# y ≈ 4.88 exp(0.0553 x). much better. Generate some data, let's imagine that you already have this. 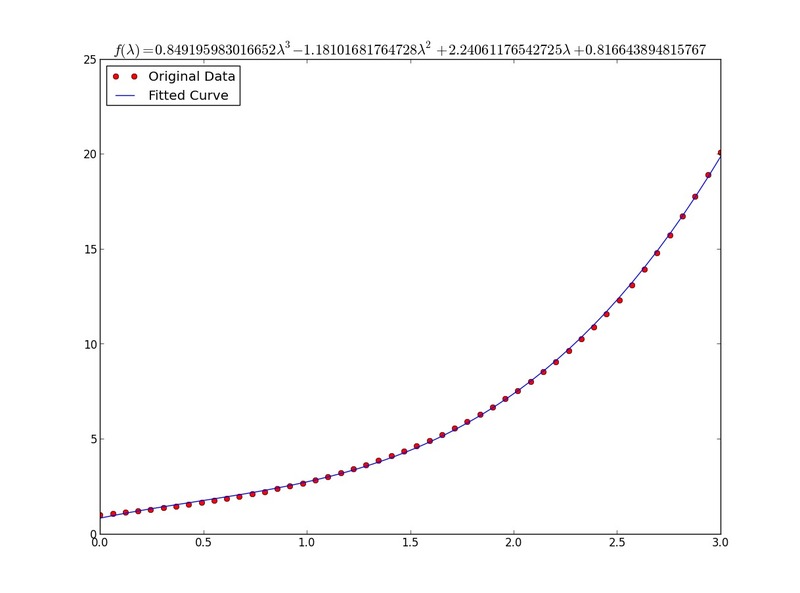 that curve_fit will calculate for you. so f(x) = popt*x**3 + popt*x**2 + popt*x + popt. Print the coefficients and plot the funcion.